I always go back to our history, and that history has so much lost information that needs to be rebuilt in our community. So the subject for me is to bring that history out: who we are, where we’re from, and we can let the world know “this is us” through our art. 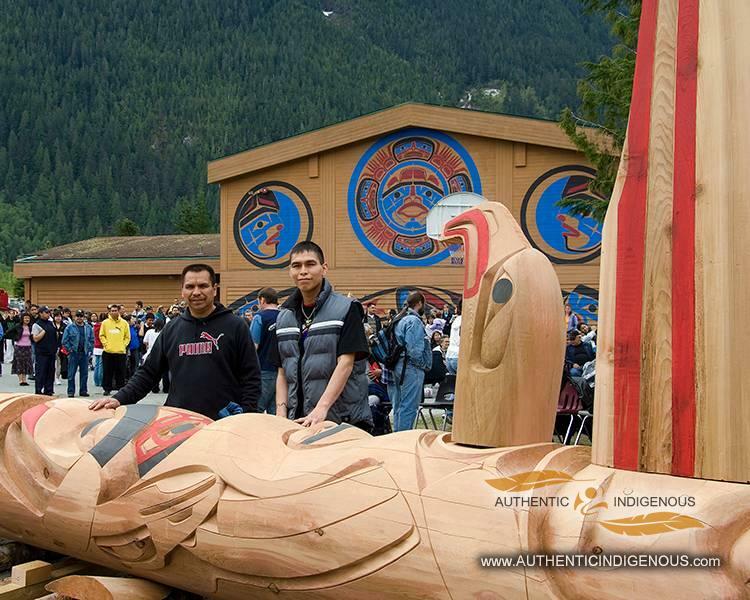 Alvin Mack is an accomplished and well-respected artist of the Nuxalk Nation. A serious artist for over 30 years, Mack has mentored dozens of young artists through his work at the local Acwsalcta School and as a leader in the community. From the Noosgulch region of the Bella Coola Valley, Mack’s grandmother Mary Samson was the last person to be born at the Mack family’s original village site. Mack considers creating art akin to culture, and sees no distinction between the two. He is passionate about his Nuxalkmc culture and sees the art as an essential vessel to keeping traditions alive and educating people about Nuxalk history. He cites his own father, Willie Mack, as one of his greatest influences, recalling that Nuxalk art would have almost died out if it wasn’t for a few dedicated carvers who kept the art alive, his father being one of them. 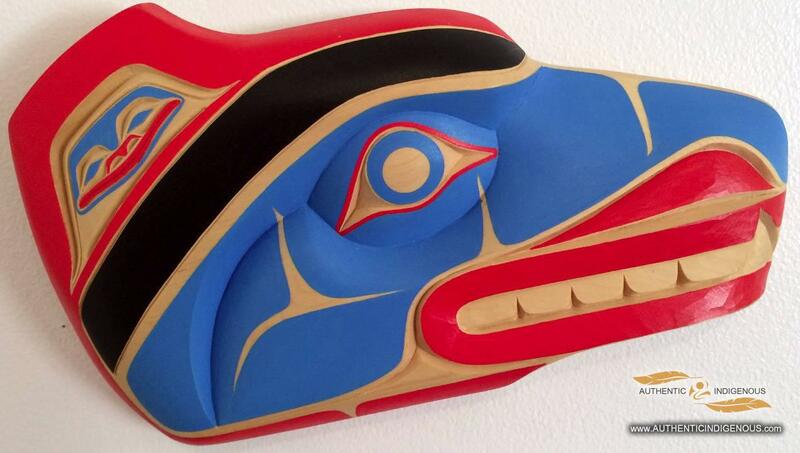 He considers his work to be more traditional, focusing on the Nuxalk story each piece conveys. In 2014 Alvin was the recipient of the prestigious BC Creative Lifetime Achievement Award.